The primary purpose of this study was to investigate how relative associations between travel time, costs, and land use patterns where people live and work impact modal choice and trip chaining patterns in the Central Puget Sound (Seattle) region. 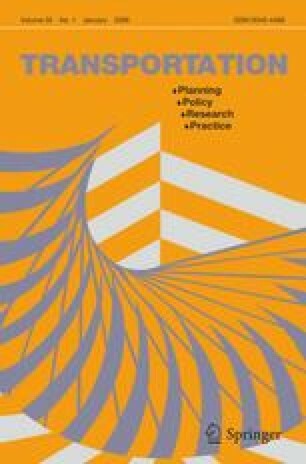 By using a tour-based modeling framework and highly detailed land use and travel data, this study attempts to add detail on the specific land use changes necessary to address different types of travel, and to develop a comparative framework by which the relative impact of travel time and urban form changes can be assessed. A discrete choice modeling framework adjusted for demographic factors and assessed the relative effect of travel time, costs, and urban form on mode choice and trip chaining characteristics for the three tour types. The tour based modeling approach increased the ability to understand the relative contribution of urban form, time, and costs in explaining mode choice and tour complexity for home and work related travel. Urban form at residential and employment locations, and travel time and cost were significant predictors of travel choice. Travel time was the strongest predictor of mode choice while urban form the strongest predictor of the number of stops within a tour. Results show that reductions in highway travel time are associated with less transit use and walking. Land use patterns where respondents work predicted mode choice for mid day and journey to work travel. Foremost, we thank the Washington State Department of Transportation (WSDOT) for funding this study. We further acknowledge Ms. Jean Mabry, Ms. Kathy Lindquist, and Ms. Paula Reeves with WSDOT for input, direction, and guidance in this effort. Mr. Keith Lawton’s considerable assistance in formulating the study design and reviewing the work in various stages of completion was extremely helpful and is greatly appreciated. We thank the Puget Sound Regional Council for providing the travel survey data and King, Piece, Snohomish, and Kitsap Counties for the parcel data and Dr. Paul Waddell with the University of Washington for the enhancements to the parcel data used in this study. We thank Mr. Larry Blaine of the Puget Sound Region Council for his suggestions, feedback, and guidance throughout the project. We thank Dr. William Bachman for producing the shortest time path trip assignments used in our analyses. Mr. Chris Close is recognized for his efforts to develop the land use measures and to clean the parcel level land use data and for finding other sources of land use data to enable the study to proceed.